EXCLUSIVE! A cool cat with green eyes and Midcentury Modern flair. 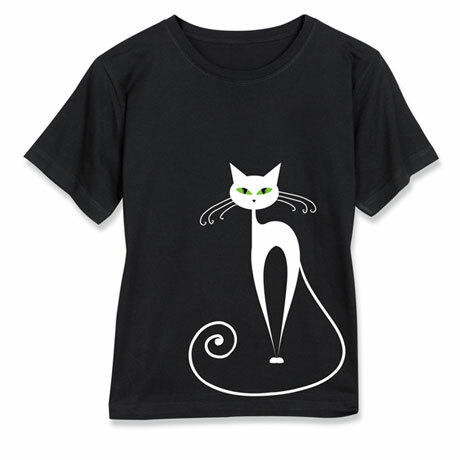 Black scoop-neck ladies' tees are soft 100% ringspun cotton. Sizes S-XXL. Imported.